Although Ambien (zolpidem) can be safe and effective if used properly, Ambien can also be very addictive. Treating Ambien addiction can be difficult, but with a little patience and determination it’spossible. More here on what to expect during rehab for Ambien. The main ingredient found in Ambien, zolpidem, is a prescription sedative used to help treat individuals suffering from insomnia. While Ambien is effective for many patients, others will find that they become tolerant to its effects over time. And when used continuously for more than 4-6 weeks, Ambien can also be habit forming. We know how helpless, frustrated and scared you may be feeling during your Ambien addiction struggles. But we want to help you by explaining the process of medical treatment and its steps. In this article, you’ll find information on treatment protocols for addiction. 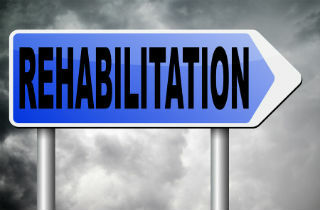 Keep reading for more on what to expect in rehab. Then, post all your questions and/or personal experiences at the end section. We try to respond to all legitimate questions peronsally and promptly. Stop the addiction cycle with our help. Rehab can help you start over. Do I Really Need An Ambien Rehab? If you’re addicted to Ambien, it can be difficult to determine if you need or are ready for Ambien addiction treatment. So, how do you know if you need rehab for Ambien addiction? You are unable to function or sleep without Ambien. Ambien negatively interferes with your life, but you cannot stop or control use. You experience uncomfortable withdrawal symptoms such as tremors, nervousness, anxiety, and insomnia when you don’t take Ambien or drastically reduce dosage. You crave Ambien when you do not have it. When you experience levels of Ambien dependence and psychological craving, it can be time for help. What are the most common Ambien rehab treatments?Rehab begins with assessment, continues to medical detox, and is usually based on psychological therapies. Let’s take a look at each. When seeking rehab for Ambien addiction, an initial assessment of physical and psychological dependence is very important. Assessment, or screening, usually occurs shortly after a patient is admitted to a program. During this assessment, an addiction specialist will determine the extent of Ambien addiction as well as any possible causes or underlying psychological problems. This information can be used to determine the best course of action and will help the rehab center create an Ambien addiction treatment plan that is customized to your needs. If required, you may spend a period of time in a medically supervised setting while you remove Ambien from your system. Detoxing from Ambien can take days to weeks, and usually begins with a tapering regime. Medical detox from Ambien is usually necessary, and many patients will be weaned off the drug slowly in order to reduce uncomfortable withdrawal symptoms or to prevent serious side effects. Mental health treatment is often essential for effective and successful rehab for Ambien addiction. Individual therapy and counseling sessions can help you recognize the root of an addiction. During therapy, you’ll learn new techniques to change negative thoughts, beliefs, and patterns. For instance, a psychologist can help you learn how to overcome anxiety and relearn how to fall asleep without this drug. Family counseling can also help you reconnect with their loved ones and help their loved ones understand how to help during the recovery process. In order to successfully beat an addiction, a person must fully understand it first. Education sessions are a vital component of successful Ambien addiction treatment. Most rehabilitation facilities teach that addiction is a disease that is actually caused by both biological and environmental factors. In fact, scientists have now discovered that addictions may even be partially caused by genetic factors. A quality Ambien rehab center will teach clients about the cycle of addiction so that the mind can understand concepts rationally. Beating any addiction is difficult, to say the least. Fortunately, there are a number of services that can help you before, during, and after your rehab for Ambien addiction. Income-based medical assistance is available to all those who are unable to pay for some or all of their treatment, for example. Additional social services are also available to help individuals who have had their lives impacted by addiction get back on their feet. Additionally, psychoactive medications that doctors prescribe to treat Ambien addiction may include stimulants, benzodiazepines, barbiturates, and other sedative-hypnotics. Sometimes physicians or psychiatrists will prescribes medications to help you treat co-occurring mental health disorders which accompany Ambien addiction. However, with the pharmacological treatment there is potential to subvert one addiction for another. You need to be careful with medications and use them in accordance with your doctor’s recommends. Addiction is only a bump in the road of your life. Don’t let a stumble in the road be the end of the journey. Let go of old habits. Call 1-888-882-1456. Inpatient or Outpatient Ambien Rehab? There are two main options available to those seeking rehab for Ambien addiction – outpatient treatment and inpatient treatment. Outpatient Ambien rehab does not involve a stay in a hospital or rehabilitation facility, but requires that patients attend several counseling and rehab sessions. Inpatient Ambien rehab, on the other hand, requires patients to stay in a rehabilitation facility during the course of their treatment. Inpatient Ambien rehab benefits people who need a change in environment to succeed in recovery, or who prefer 24 hour supervision. If you or a loved one is considering rehab for Ambien addiction, knowing what steps and where to turn can be frustrating and frightening. The good news is you’re not alone, and we’re here to help. Please don’t hesitate to ask a question or post a comment about your own experiences below. We’ll reply to your comment is soon as we are able to.